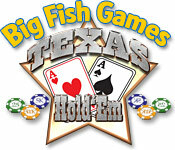 Big Fish Games Texas Hold'Em is rated 3.0 out of 5 by 6. Rated 5 out of 5 by GameKat from Most Authentic TH Game My Husband Has Played My Husband's Review: This game is the only game that plays like a real TH game at a Vegas Casino (which I've done). Never gets boring, very challenging. 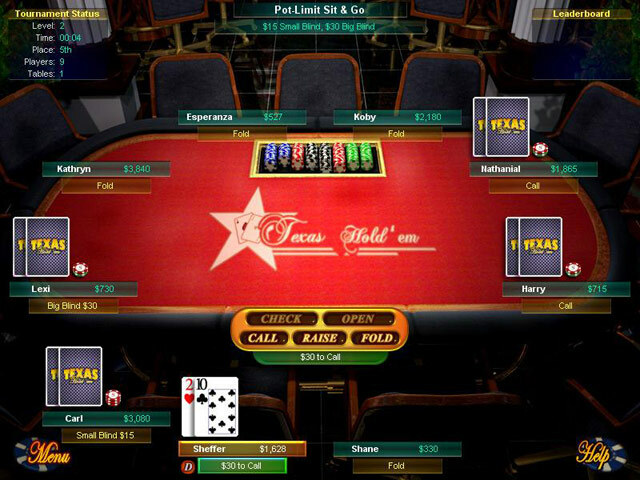 This is a game for people who like to play on-line poker; it is not for people who want to play games, but want to play real TH. It is as close to reality as you can get! Awesome game. Have been playing it for years. Rated 5 out of 5 by bhermance from Love this game I Love it! Can change the settings ,etc. 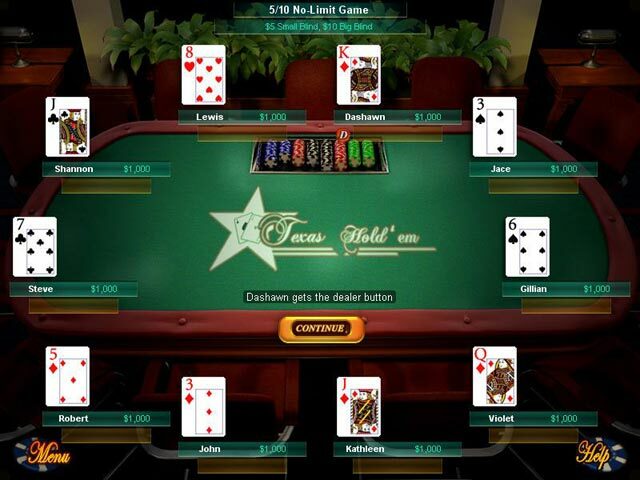 Rated 4 out of 5 by campingramps from Good basic Texas Holdem Despite some of the negative reviews, this is a good Texas Holdem game. You have your basic low buy in games, your tournament games and some high stakes games. Play is steady and there is no delay as a player 'tries to decide to play'. Graphics are nice for the age of the game (2007 game) and the sounds are just your typical card shuffling and dealing. Nothing annoying. One thing I particularly like is in an all in situation the percentages of a winning hand are shown. Overall, a good, relaxing game and fun to play. I recommend this one. 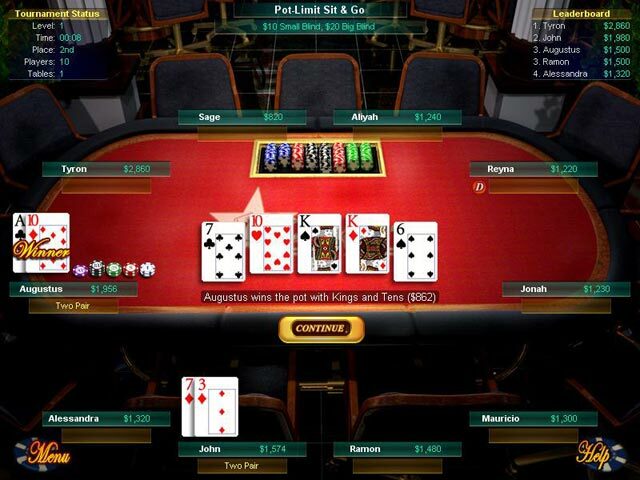 Rated 2 out of 5 by BeInformed from There are much better T. H. poker games out there. Just play the free hour and well you won't even get through the first 15 min before trashing this deal. Rated 1 out of 5 by catbag8717 from Stay Away From This Game Usually, I'd do a good, ok and bad parts of the game assessment, but there was absolutely NOTHING good about this game. Graphics were terrible. Incredibly annoying sounds. You had virtually no playing time. It would just go around and around the table untill it was your turn, where you had 1 move. Then it repeated the cycle over and over untill I couldn't stand it anymore. You're much better off playing Poker Superstars. This game is absolutely terrible. I played only 3 minutes of the demo. Rated 1 out of 5 by Jimbeaux from Don't waste your time I should have tried the free trial before using a game credit for the full version. The graphics are so awful, it's completely unplayable. I've deleted the game and am chalking this up as a lesson learned.